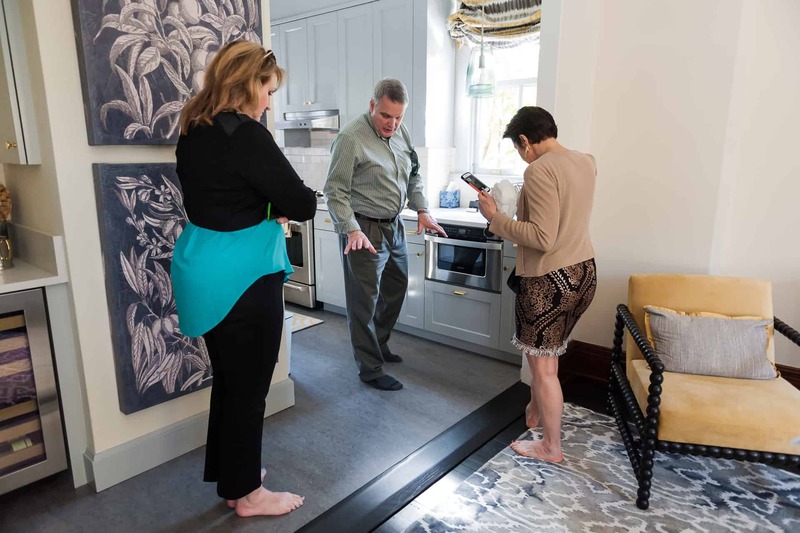 A historic Downtown condo, a Southwest Portland cottage, and a Lake Oswego whole house project — three of Neil Kelly’s recent residential remodeling projects were showcased on the Spring In-Home Job Tour in Portland on Friday, April 1, 2016. Design-Builder Byron Kellar, and Designers Kristine LeVernois and Barbara Murphy were on hand to lead Neil Kelly staff and guests through each location, showing off the scope of the projects, pointing out key design features, and discussing challenges that were overcome along the way. Each designer spoke at length about how they were able to meet client objectives in the redesigned spaces. 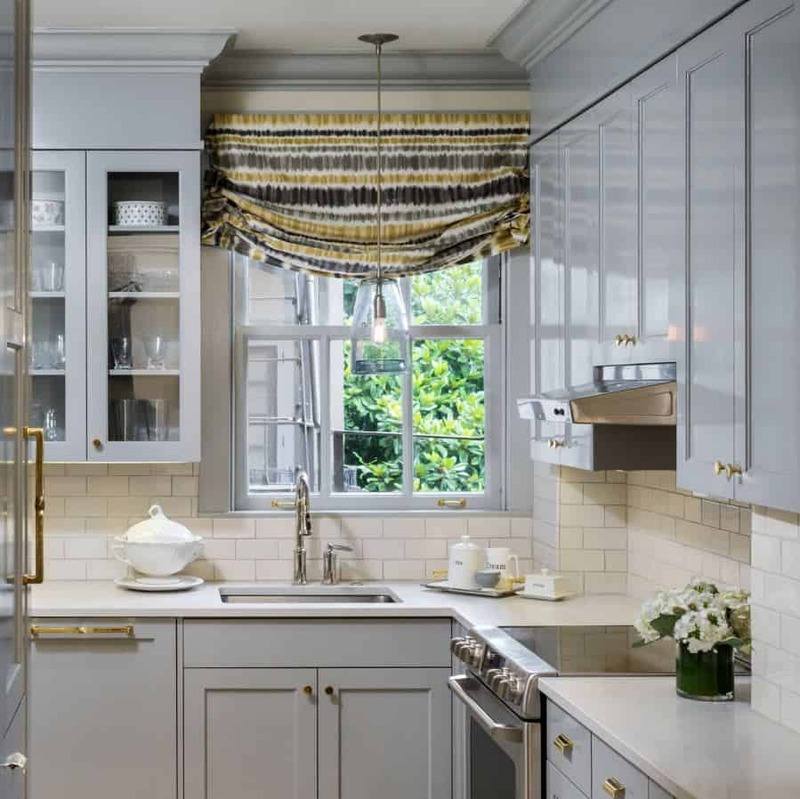 Byron Kellar said he had a great partnership with his client – an accomplished interior designer – as he worked through the details of remodeling a 705 Davis condominium in Downtown Portland. Each unit in the property, a New York-style Renaissance building originally constructed in 1913, contains period features such as mahogany stairs, doors, railing, and trim. Remodeled kitchen by Byron Kellar. Image courtesy Wendy St Laurent. Organization and modernization was a top priority for Kristine LeVernois’ clients — their cottage in Southwest Portland was the next stop on the tour. “They do a lot of entertaining and they need a place that is workable,” LeVernois said. “[During the planning stages for their new kitchen,] the clients really got into organizing all of their tools and accessories, getting everything where they wanted it to be, and having more workable space.” LeVernois’ kitchen design also features a custom beer station with individual taps that access refrigerated tanks in a cabinet underneath. Remodeled kitchen by Kristine LeVernois. At the same location, LeVernois designed a master bath featuring a walk-in steam shower and aging-in-place accessories such as grab bars and a fold-out bench. She says her clients were pleased to be able to customize everything down to the light switches. 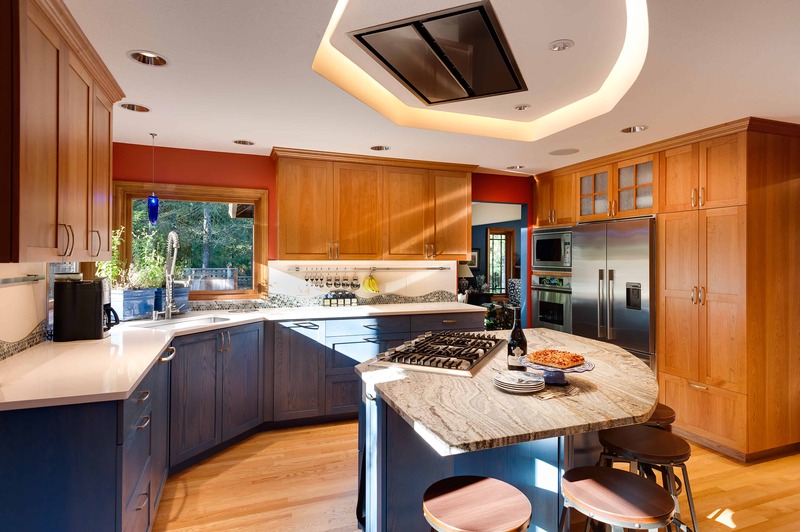 Finally, Barbara Murphy showed off a whole house project she’d worked on for a good friend and repeat customer in Lake Oswego. Beginning with a kitchen in 2013, Murphy also designed three bathrooms in 2015, and a deck beginning in 2016 — all for the same client in the same location. 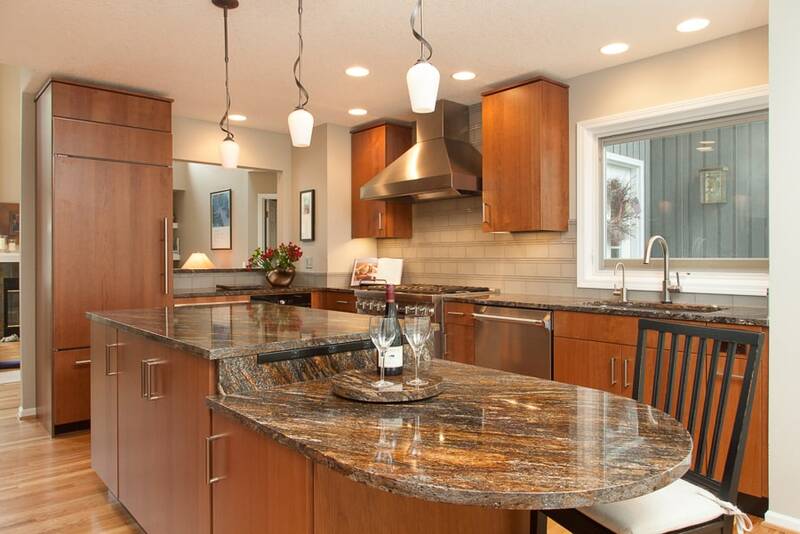 Remodeled kitchen by Barbara Murphy. The main level bath — the largest of the three Murphy remodeled — features a roll-in shower, a key accessibility item for clients who are intent on staying in their homes through their twilight years. “We want to make this a ‘forever’ house,” Murphy quipped. Neil Kelly holds internal job tours each spring and fall to share successes, design ideas and lessons learned with colleagues throughout the company.